Beth is a mom of twin daughters with Mosaic Down syndrome, a rare form of DS. Her professional background is in marketing, business development, and strategic planning, and she currently works as a Marketing and Business Development Director at an engineering firm in New York City. Beth is excited to leverage her professional experiences, as well as her experience raising her twin daughters to help build social awareness on all types of DS, the abilities and success that individuals with DS have, and create a larger network of resources through Rock the 21. Ana, a stay-at-home mom to three boys, moved to Hoboken, NJ in 2007 with her husband, Chris, with hopes to make a positive impact in their city by starting Hoboken Grace Community Church. Little did she know, when her second son was born with DS, she would soon be welcomed into a community she had never thought of. While DS changed many things about their lives, it reinforced their commitment to make a difference in their city. Her hope is that Rock the 21 will serve as an organization that shines light on the positive lives individuals with DS can live. Other than volunteering with the Special Olympics, Tara didn't know much about DS before her daughter was born. Having her first child, and learning about DS at the same time could have been overwhelming, but the support she received from her community was invaluable. Tara now serves as a local ambassador to new families who are embarking on their journey with DS. A stay-at-home mom of three, her background is in elementary/special education and finance-marketing. She hopes Rock the 21 will raise wide-spread awareness about DS and help others be more accepting of people with different abilities. 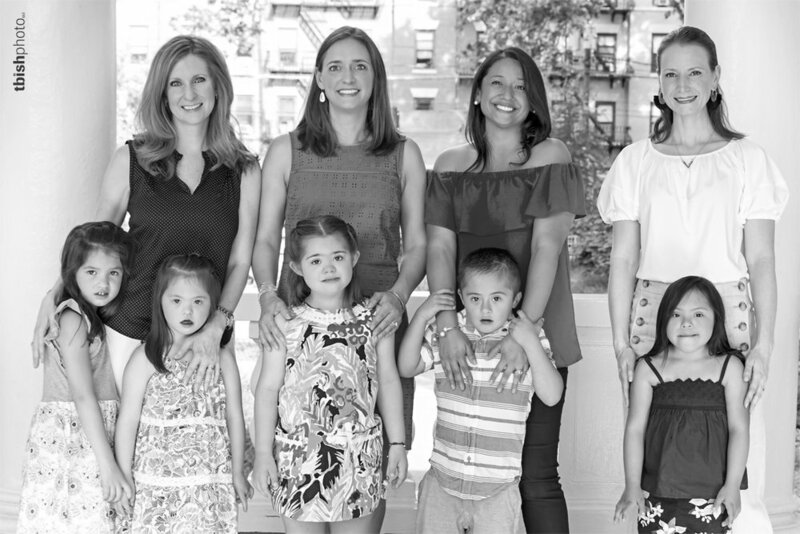 Stephanie’s drive for joining Rock the 21’s board came from her inability to find nonclinical information about DS while she and her husband were in the process of adopting their daughter, Alicia. Stephanie has nearly 10 years experience in the finance industry in roles focusing on investment banking operations, and she utilizes this experience to manage Rock the 21’s finances. Outside of work, she and her husband have volunteered with many organizations, including the Hoboken Shelter and Mustard Seed Communities, where they met their daughter. Stephanie is excited to be part of an organization that will bring support to people with DS and their families, like the support she received after meeting her fellow board members.